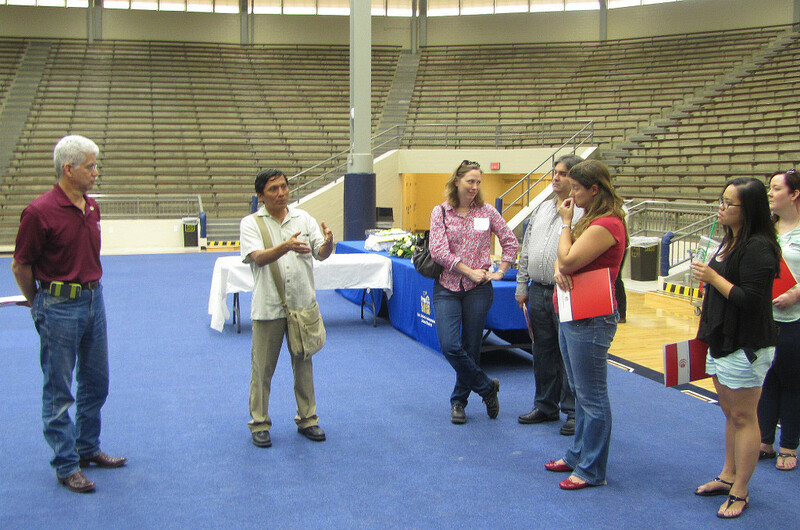 Last Friday, May 22nd, UNINTECH’s David Peralta, Ph.D., P.E., Jerry Quintero, P.E., and Kieran Noone, P.E. 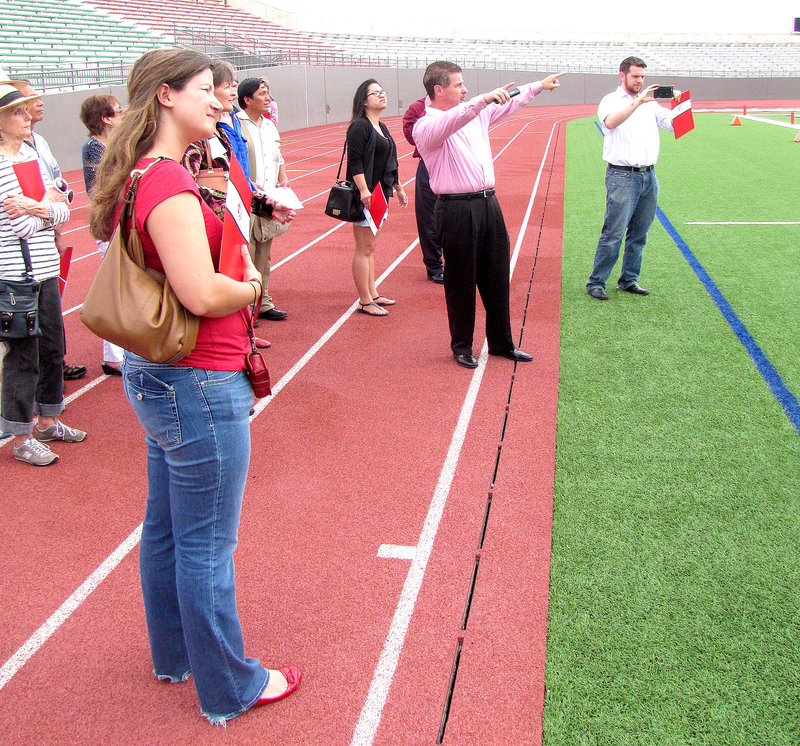 led a tour of MIT and Ivy League alumni through San Antonio’s own Alamo Stadium. 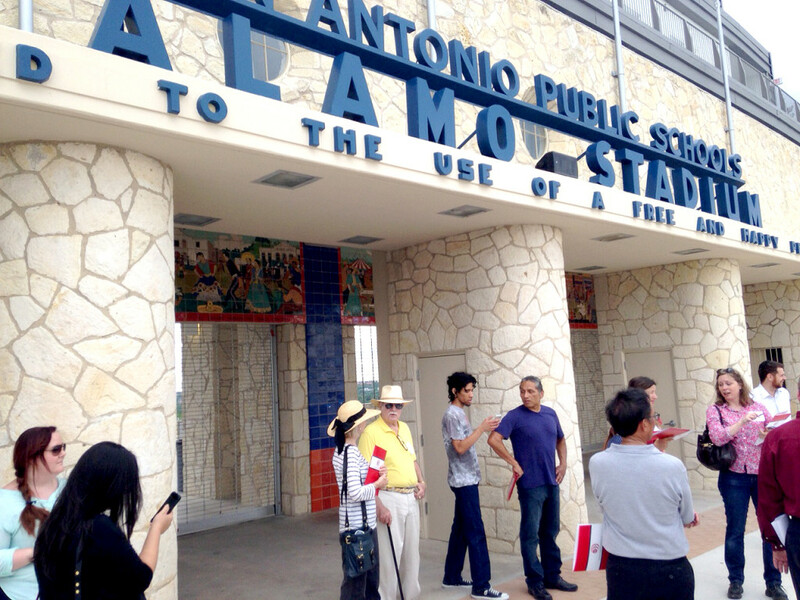 Assisted by San Antonio Independent School District’s Assistant Athletic Director Gerald Gonzalez, a group of 20 individuals roamed the stadium, being shown UNINTECH’s award winning work on the historic site. 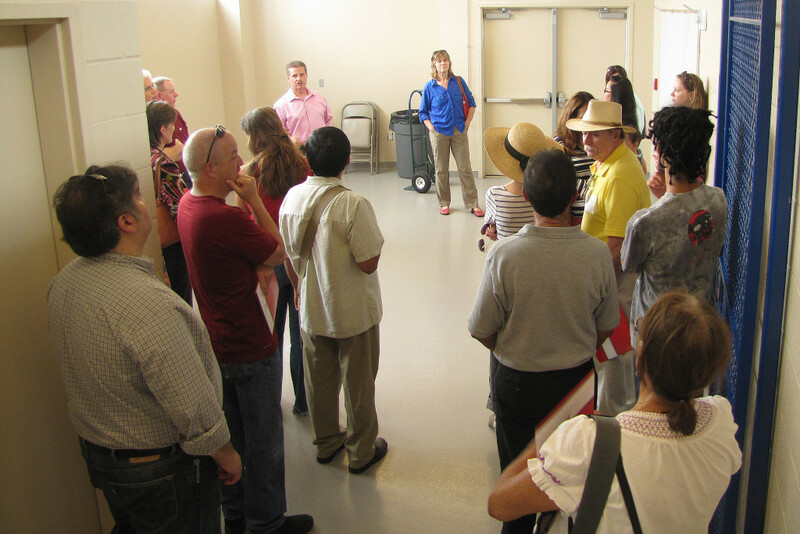 While perusing the stadium, attendees were treated to an inside look at UNINTECH’s design. First, going through the renovated Convocation Center, guests were shown the new lighting, seating, and structural improvements. Then, making their way to the stadium itself, the group toured the field, where UNINTECH updated the drainage and widened the track, the completely updated locker rooms, and press box, to which Unintech added an entire new level, and updated all seating spaces. The final stop of the tour was the front of the stadium itself, where four murals depicting San Antonio’s cultural heritage rest atop the entrance to the grounds. UNINTECH also recently received the ACEC National Recognition Award for their work on Alamo Stadium. David Peralta, Ph.D., P.E., and CEO Clifford Hew, P.E. received the award in Washington, D.C.